When I think of my favorite city Lisbon (Portuguese: Lisboa), I see a bright and promising blue. It’s like Lisbon held a patent on this color. You see this it when you get out of the plane and no matter where you are in Lisbon – the sky color is always above you. 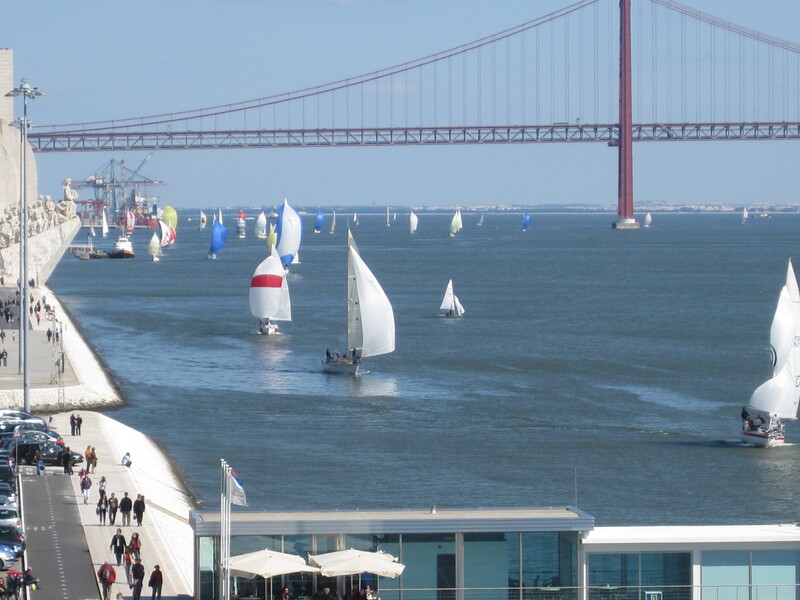 The same blue is mirrored in the water of the large Tagus river (Port: Tejo) and its mouth to the Atlantic Ocean that you can see from all viewpoints of the Portuguese capital. But the place where you are surrounded by this intensive and light blue is the Torre de Belém (Belém Tower). 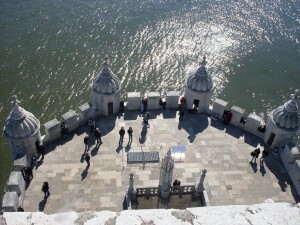 The tower is located in Belém, a civil parish of the municipality of Lisbon. 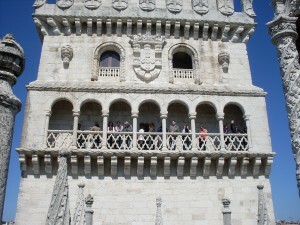 Along with the nearby Mosteiro dos Jerónimos (Jerónimos Monastery) it is a UNESCO World Heritage Site since 1983. Both buildings are two of the very few prominent examples of the Manueline style that have survived the catastrophic 1755 Lisbon earthquake. 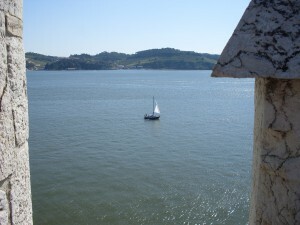 In the late 15th century, the fortresses of Cascais (Cascais is known today as Portugal’s Hollywood) played the main role in the defense system for the mouth of the Tagus. 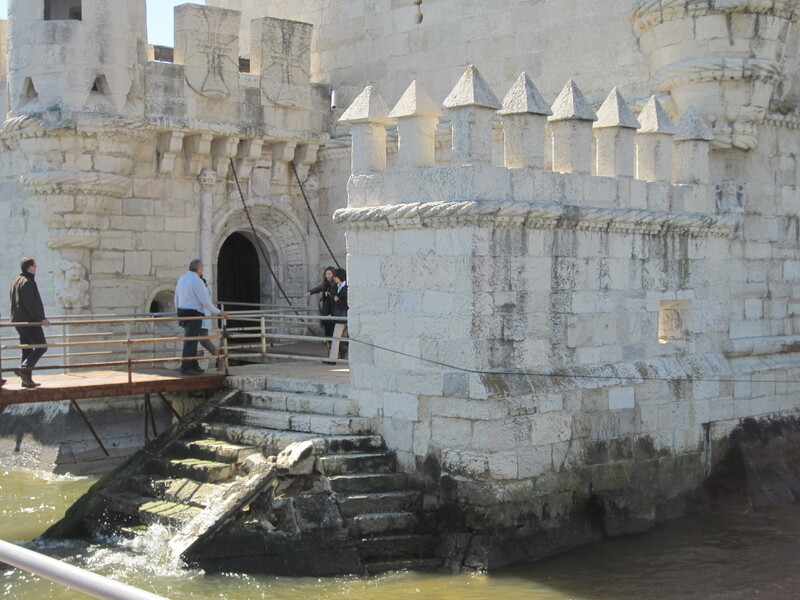 These fortresses did not completely protect the river’s mouth, so King Manuel I of Portugal commissioned the building of the Belém Tower. The constructions started in 1515 and were finalized in 1521, King Manuel’s year of death. 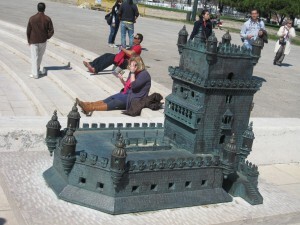 Since this time, the Torre de Belém symbolizes the high period of the Portuguese Sea and Trade Empire. 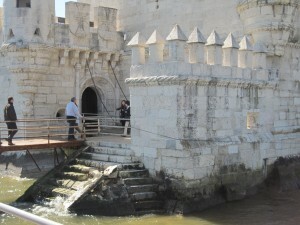 The tower was built as a lighthouse on an island in the mouth of the Tagus river to the Atlantic Ocean. It welcomed the arriving explorers and merchant vessels. It is written in different historical travel journeys that Portuguese explorers and merchants always were very pleased to see the Belém Tower after weeks or months of absence, because the tower emblematized the return to their home country and their families. 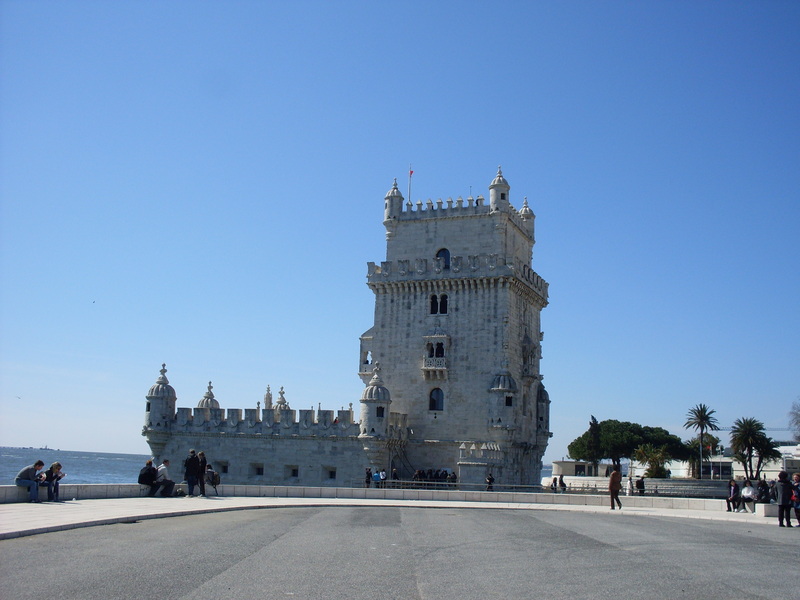 The Torre de Belém was built from a beige-white limestone local to the Lisbon area and thereabouts called lioz. The building is divided into two parts: the bastion and the four story tower located on the north side of the bastion. 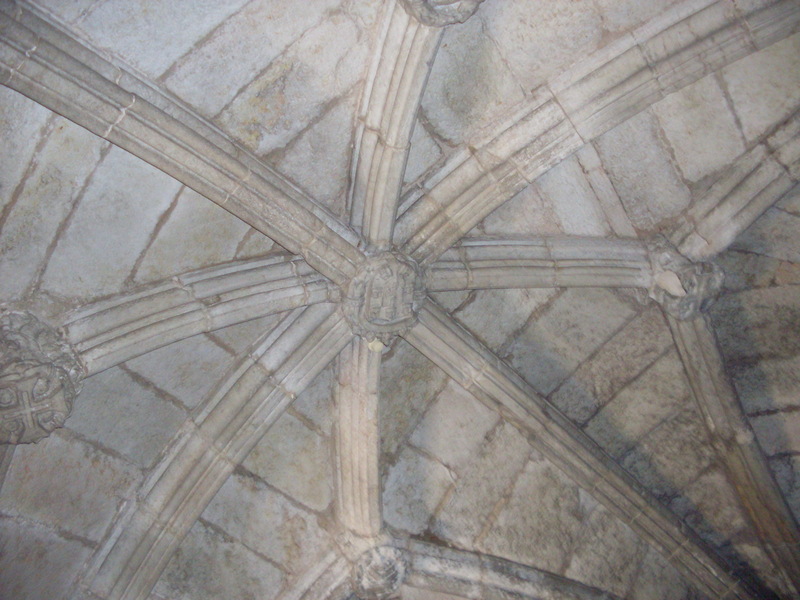 The Portuguese Late Gothic Manueline style is especially apparent in the elaborate rib vaulting, crosses of the Order of Christ, armillary spheres and twisted rope, common to the nautically-inspired organic Manueline style. 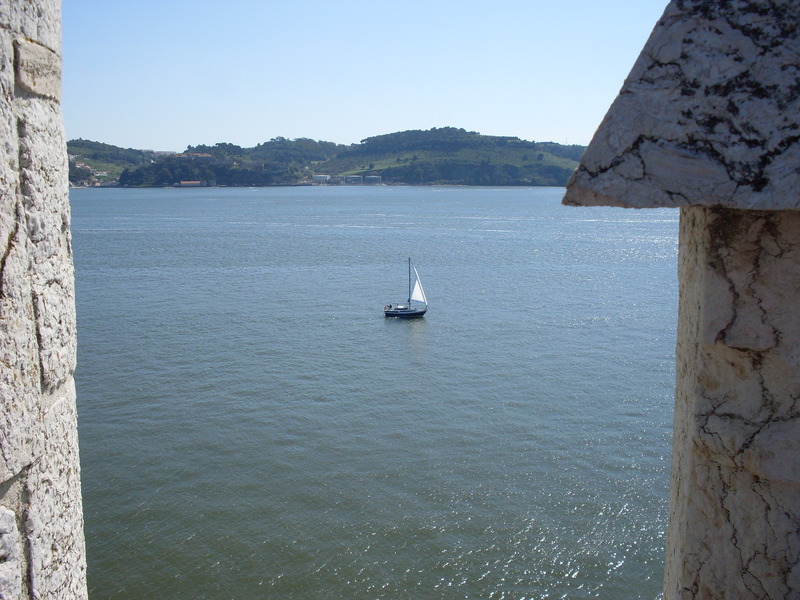 There has originally been a twin tower on the other side of the river mouth to take enemy ships in the crossfire, but it was destroyed during the earthquake of 1755. The dark interior of the tower was used as prison and arsenal in the 19th century. Today, the highest floor (35 m / 115 ft high) of the tower is a viewpoint. 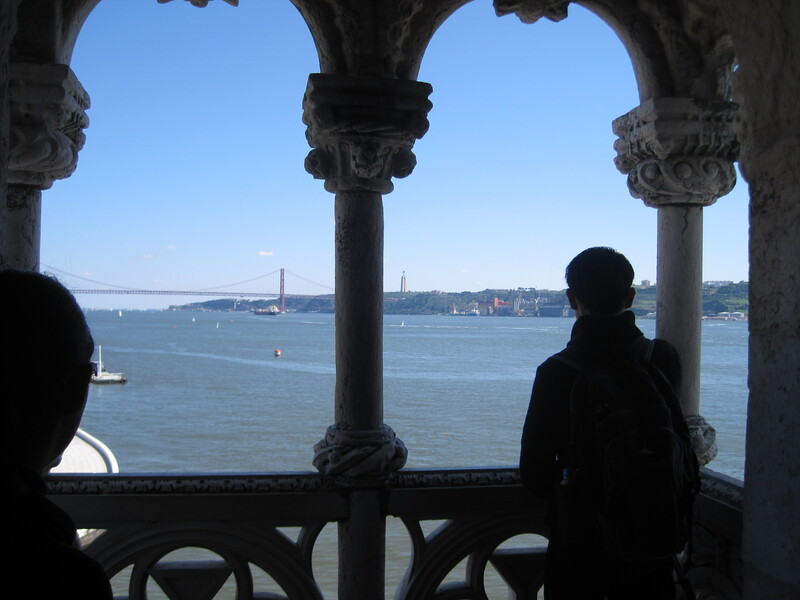 In the west you can see the red bridge Ponte 25 de Abril (the world’s second largest suspension bridge after the Tsing Ma Bridge in Hong Kong) and the Tagus coming from Lisbon, and on the east side you look to the horizon of the Atlantic Ocean. On sunny days, many sailboats sail in the river mouth what is very beautiful.